EHDN's role in RD-Connect is to advise and manage support in building an observational study including clinical data (patient registries) and biosamples. This particularly involves data base design, protocol development, data management and data sharing, contribution to the standardisation of procedures and data management as well as contribution to the definition of quality control mechanisms. University of Ulm (UULM) is a recently (1967) founded University of the state of Baden-Württemberg; ranking among the top ten medical faculties in the listing of the National German Research Council. 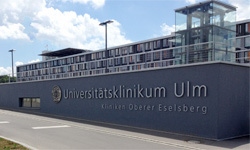 With the University Hospital of Ulm (UHU), UULM hosts and legaly represents the European Huntington’s Disease Network (EHDN). EHDN, founded in 2004, is a not-for-profit, academically based network of clinicians, of Huntington’s Disease (HD) families and their organisations and of basic scientists, active in HD-research. EHDN has more than 1100 regular members and over 130 associate members from almost 40 countries with more than 130 Huntington’s Disease study sites distributed across 18 European countries. EHDN employs native speakers in several different languages as Language Area Coordinators (LAC’s) as well as coordinating staff including IT experts supporting a web portal with an integrated electronic data capture system using a fully relational (SQRL) data base for integrated data storage as well as staff ensuring clinical rater qualification as well as the quality of clinical data. EHDN’s platform for professionals and people affected by HD and their relatives promotes collaboration throughout Europe. EHDN facilitates natural history studies and interventional trials meeting high standards (‘Good Clinical Practice’ = GCP) thus helping on the road towards a cure of HD. 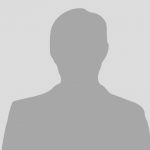 The network has been conducting an observational study, REGISTRY, for several years to provide a collection of clinical data and biospecimens of the highest data quality from thousands of subjects throughout Europe. This includes direct data entry into electronic case report forms and data monitoring. The network collaborates with pharmaceutical sponsors in clinical trials. Expertise includes information technology, clinical operations and clinical trial design, data base management, and, through its working groups, a wide variety of techniques and approaches necessary for state-of-the-art basic and clinical research into Huntington’s Disease.